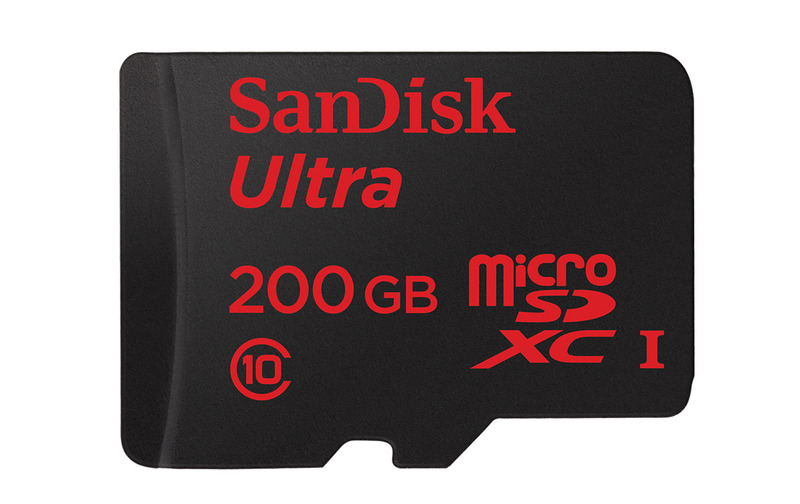 Back in March, days after Samsung announced the Galaxy S6 without an expandable storage slot, SanDisk unveiled its new 200GB microSD card. They told us at the time to expect the “world’s highest capacity” card at some point in Q2 of this year. Well, here we are in Q2 and the card is available at retailers like Amazon. Of course, this much storage will cost you. The price was supposed to start around $399, but Amazon has the little guy for $240. I don’t know that I would call that a “deal,” though that’s much easier to swallow than the original price quote. With a card like this, you could technically hold up to 20 hours of full HD video or transfer 1,200 photos in a minute with theoretic speeds of 90MB/s.